Check it out, I was at this premier and on the secon floor was an amzing set up. I had an iPhone for 2 years and I already am ready to switch. the slide out keyboard is gonna be attractive enough but the possibilities are endless with open source, I mean alone look at ShopSavy app. Get ready for a revolution! does anyone know kinda product the G1 is made of? 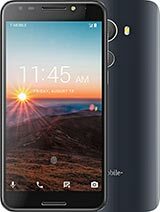 htc cannot make a phone with flash for camera!!!!!!! poet, 24 Sep 2008iPhone...the most gorgeous phone on the planet! We love you iPhone. Your specs may be less ... morenext time go on the iphone page and do that, cuz frankly we can care less about your beloved ibrick. no way... i telling you it is revolution . I've been lucky enough to get my hands on a prototype of one of these as I work for T-Mobile. I can safely say you will be suprised at the intuitive flow of this dynamic phone. It is easily as responsive and elegant as the I-Phone...and I'm not just saying this!! Anonymous, 25 Sep 2008No no no. Such a good try from Google with the Android and here comes the G1 with a KEYPAD !!!... moreBecause is much easier to type with keyboard then tap on the touch screen. 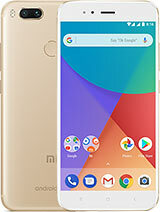 I like this mobile...it looks different...and that its associated with Google makes it a special one...kinda worried about the OS...not sure of its functionality...but never the less...i'm excited about this phone...can't wait to see it. Anonymous, 25 Sep 2008No no no. Such a good try from Google with the Android and here comes the G1 with a KEYPAD !!!... morethe iphone doesnt work fine! one day when ur touch screen malfunctions then u'll realize how much pain it is to operate a touch screen phone when the touch screen doesnt work! 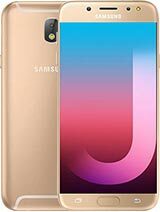 I m a bit disappointed with this phone, when i first saw it i thought it was ugly (told myself : you know... tastes...) Now when i see the specs i just think that no video recording or bluetooth AD2P whatsover... What are they doing? trying to release an iphone copy? they re just doing the same mistakes as Apple but what s odd is that it's not their first phone... far from it. I got it! they hired the iphone lead developper! Too bad cause the android OS just rocks and is completely open source.. Google shouldn't have trusted HTC on this one! It's a decent device, especially to ones with T-mobile contract. Just like the ones with Att contract cry about their iPhone. Gmail-maps and gps sounds fine for 200 USD with contract extension with a nice keyboard on the slide. Only downside is no flash or autofocus camera, word document editor and only viewer, video playback support. It's a fun device and I'd definitely get it. I'm so excited! 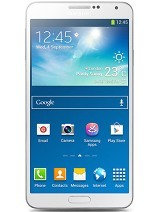 I just ordered the phone last night.... idk if I can wait for a month!!!! Nick, 24 Sep 2008T-Mobile is one of the largest growing companys right now and it all ready has 3G network in 2... moreNick...what are you smokin'? TMobile is #4 in the US market and there's a good reason for it...their service has lagged behind the rest. All the other US carriers have had 3G for the past 2 years. You'd think TMo would have been on the ball...they haven't been. Look at the current phone line....junk and ya think there's better in store. I truly hope so because the G1 has missed the mark in my opinion. I like Android but I may be waiting for it on a better looking handset. We all are. is g1 have SirfStar III? Is the creator does not drink anything?